Currently, the employer must provide the Board with the so-called "Excelsior list" seven days after an election is ordered, and the Board then provides a copy to the union. 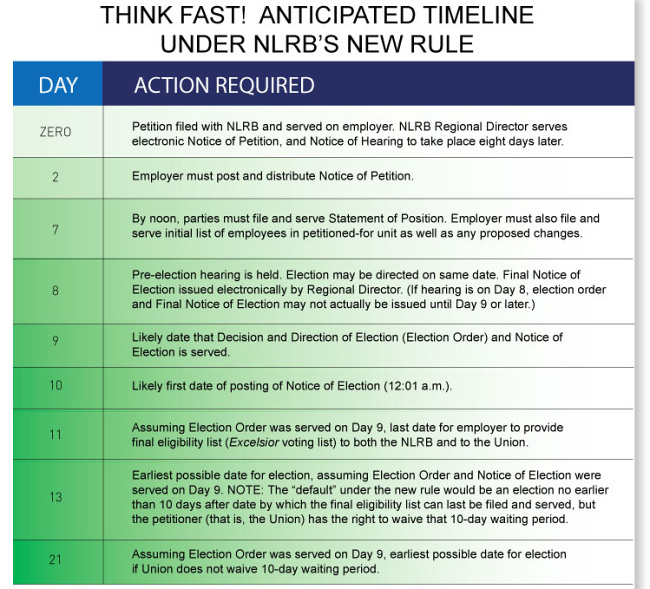 The new rule requires that the employer provide the list to both the Board and the union, moves the deadline up to two business days after the election order, and requires the employer to provide more information than before. The current rule and the new rule both require that the employer provide names, home addresses, work locations, shifts, and job classifications for the voters in the "election unit." 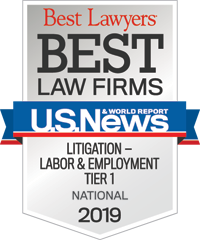 Under the new rule, the employer will also be required to provide available phone numbers (including cell phone numbers if applicable) and email addresses, which obviously gives the union greater ability to communicate with employees. Failure to timely provide the eligibility list (and any of the information on the list) is a basis for a possible election objection by a union.